Hair loss has always been thought of as a male problem, and while male pattern baldness is much more common, women can have problems with losing their hair too. New research commissioned by Trichologist Philip Kingsley found that as many as 1 in 5 women in the UK suffers from hair loss or hair thinning. This is not something new, but figures relating to women and hair loss have previously been small with many women suffering in silence for fear of embarrassment. There is a certain stigma attached to women losing their hair as society deems hair an important factor in how we are viewed by others and hair loss in women certainly carries with it a social stigma which leads to many women going untreated for their hair loss. Known medically as alopecia, hair loss can leave a huge dent in self-confidence in men and women. However, women often feel this the most. Women can feel a loss of sensuality and also begin to question how they view themselves. Often, women may become social recluses and start to avoid previously enjoyable activities such as going out with friends, going to the gym and swimming, for fear that their hair loss may be discovered. Feelings of self-doubt and high levels of self-consciousness may even go as far as to make a woman worry whether or not her partner will still love and want her due to hair loss. There are a wide variety of factors which may lead to a woman’s hair falling out or thinning, with age being one of them. It is estimated around 50% of women over 65 experience female pattern hair loss, which is deemed to be genetic and is the most common type of hair loss, and thinning of the hair. High levels of stress can constrict the blood supply to capillaries making it tough for hair follicles to get the oxygen, vitamins and nutrients they need in order to produce new and healthy hair. Many of us are guilty of the occasional crash diet, but rapid weight loss can be a cause of hair loss as can poor nutrition. High levels of animal fat in your diet can also cause hair loss as it can disrupt vitamin absorption in the hair follicles. Thyroid problems have been linked to hair loss as well as auto-immune illnesses and Lupus. 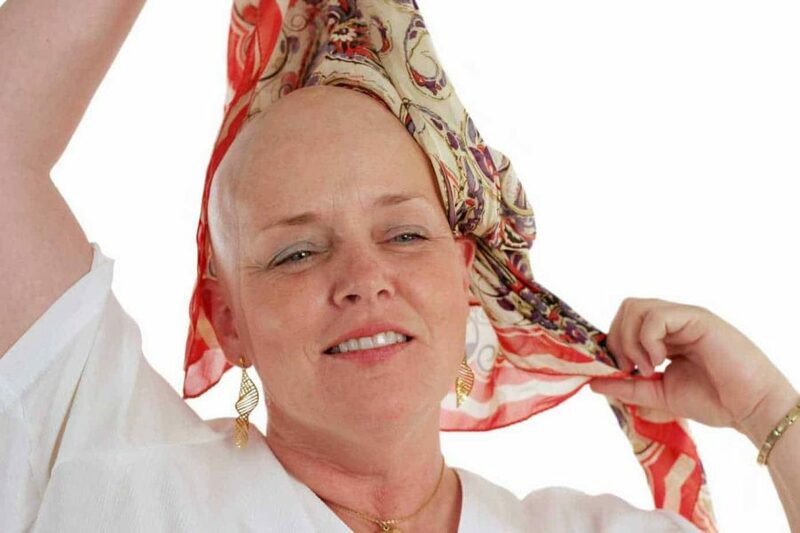 Medications can also cause hair loss with the most obvious being chemotherapy. Certain anti-depressants and contraceptive pills have also seen women experience hair thinning or hair loss. Putting your hair through tough styling regimes such as bleaching, tight weaves or applying too much heat can cause hair to become damaged and brittle causing it to fall out. If a woman is experiencing hair loss, it is important to deal with both the physical and emotional effects. Talking to others in a support group or online can help you come to terms with the effects of hair loss and there are treatments to help reduce the appearance of hair thinning and hair loss that we at Wimpole Clinic can advise you on. We offer a range of products to reduce hair loss and can also advise you on a hair transplant with one of our experts if required that will help to restore your crowning glory.